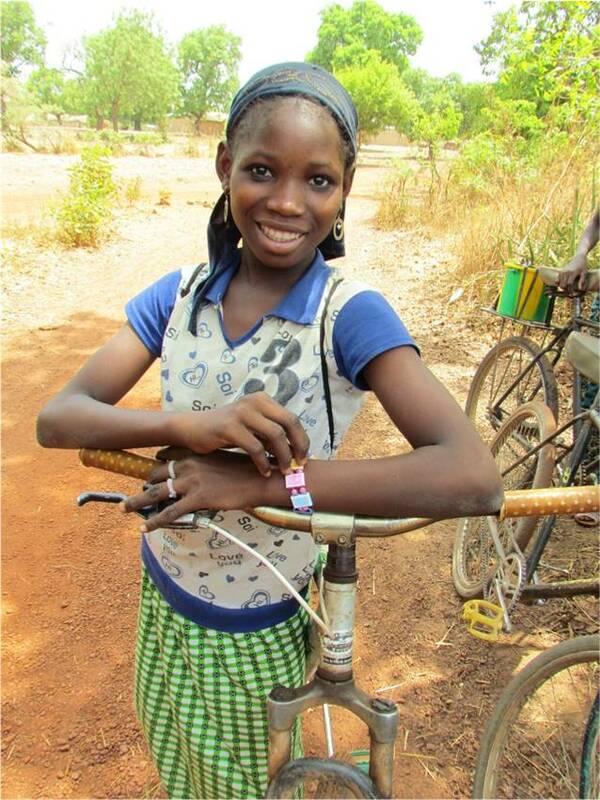 Seventh grader Maimounatou walks 8 miles a day round trip for school, but does it with a smile. Just 10 days remain for participants in our Miles to Mali challenge! So far, walkers have covered 1,223 miles and raised more than $1,600 to raise funds for our next school. Why do they do it? To help girls like those our staff meet up with on the road to school last week. We found two groups of girls making their way from the small hamlet of Zela to the village of Beneko, home to our Cliff and Nita Bailey Middle School. 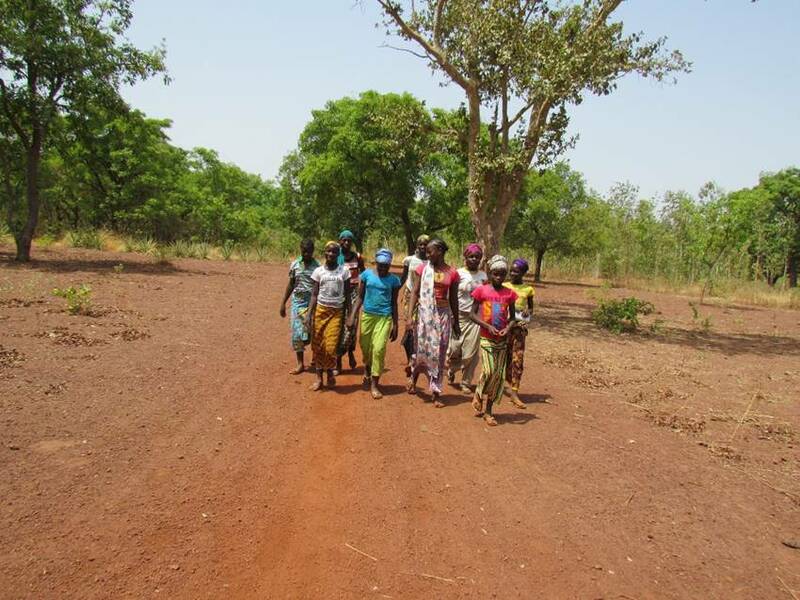 Each day, the girls traverse more than 4 miles each way with the goal of improving their lives at school. Little Maimounatou covers the dusty ground by foot. She doesn't mind too much, because she travels with a group of friends and they often pause along the way to pick (and eat) wild fruit. The trip through the bush might look scary to a U.S. 7th grader (or their parent! ), but Maimounatou is used to the journey. Seventh grader Alima is among a group of girls lucky enough to have bikes to make the trip faster. She too joins a group of friends to peddle their trusty but rusty bikes over the dusty road, covering the distance in less than half the time the walkers need. Alima aims to be a doctor when she grows up, so she'll need that kind of determination in the future. A bike is a hand tool for covering the long, dusty road to school for girls like Alima, who face long, hot trips on dusty roads. Mali Rising builds schools in remote villages like Beneko to give kids access to an education. Our goal is to shorten the trip to school for rural children, who often face distances that make going to school simply impossible. While we succeed for many children in the village where we build a school, we also find the school instantly attracts kids from surrounding villages -- making sure long treks remain part of the reality for some students. However, without the Mali Rising school in Beneko, the girls from Zela might have nowhere at all to go to school...so they are happy to make the trip! 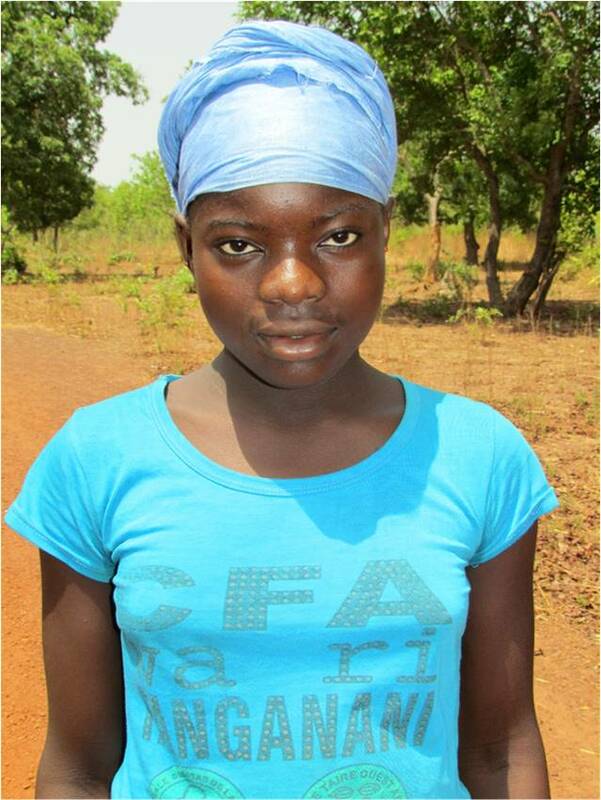 Interested in helping more girls like Maimounatou and Alima get to school? Donate directly to our next school or support a Miles for Mali walker -- either gift will go directly to build a school in Sankama!